Japanese candlesticks represent the best type of a chart. It surpasses the line chart significantly and is just more visually pleasurable than the bar chart. Knowing that technical indicators have plenty of drawbacks (they lag, they redraw, they are too ambiguous) understanding price action itself is a must. Japanese candlesticks in this sense can give traders a pretty good idea of what was and what is happening at the market and (surprise!) help them find the most likely scenario for the future. The greatest encyclopedia of Japanese candlesticks is Steve Nison's Japanese Candlestick Charting Techniques that was firstly published in 1991. This book is a must-read for everyone who wants to really understand the logic of the market and do good technical analysis. Not only it describes the main candlestick patterns, but also explains how to combine candlesticks with indicators, Elliott waves and other stuff. Below we list the main advices that come from the literature as well as the personal experience. 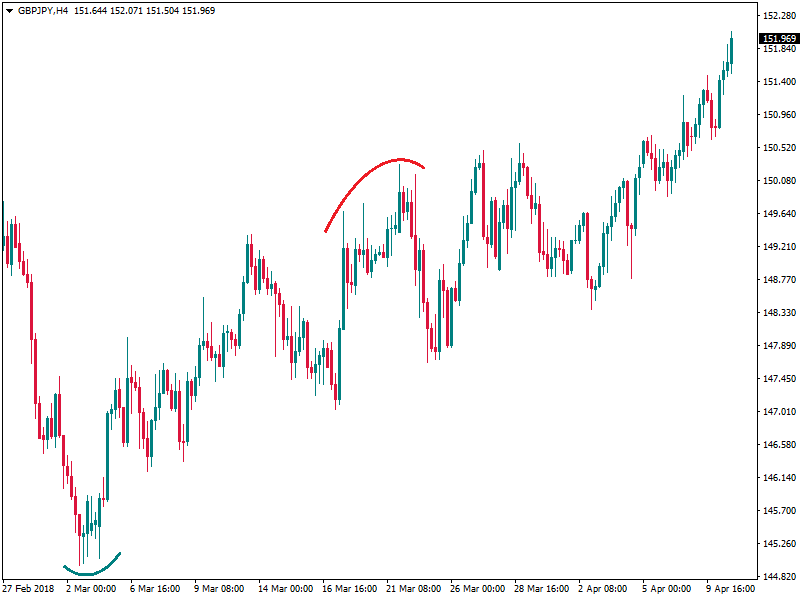 Reversal patterns are more efficient that the continuation ones. Firstly, reversal patterns are easier to pick out. Secondly, they give more reliable signals. So, look for reversal patterns and don't waste much energy on looking for the continuation ones. There are 2 criteria for a candlestick pattern: the shape of the pattern and the preceding trend. When only one of these criteria is met, it's not enough for a trading signal. For example, on the picture below, the first pattern is indeed a bullish engulfing because it formed after a big downtrend. In the second case, the pattern which seems like a bullish engulfing is not really so as it wasn't preceded by a distinct downtrend. Don't forget about the senior timeframes. 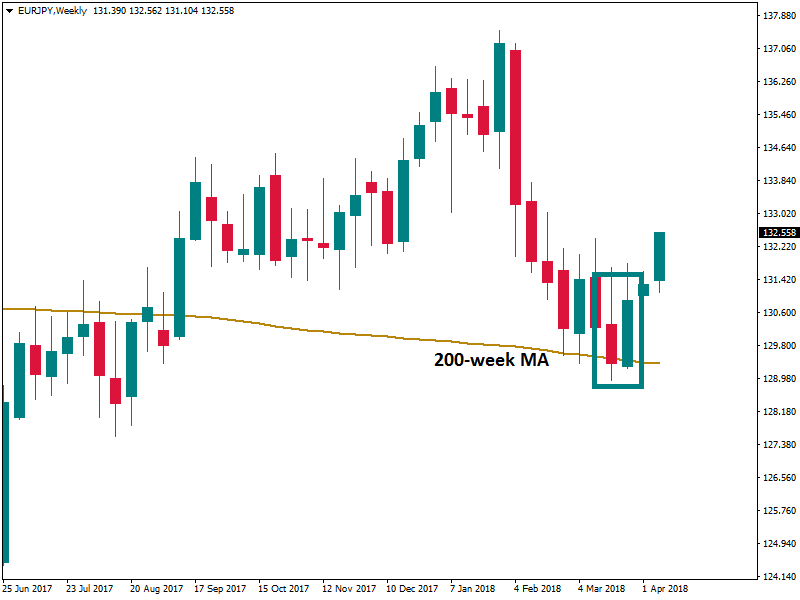 Check the weekly charts every weekend for reversal candlestick patterns - the signals are rare, but good and may give you 'food for trading' for a considerable time. Monthly charts can offer rare, but strong hints as well. Doji gives a reversal signal after a distinct trend or near important support/resistance level. If a doji is inside a sideways range, it doesn't offer a signal. If a doji is formed during a downtrend, a confirmation is absolutely necessary for a reversal signal (a bullish candle, a bottom in oscillator). According to the Japanese, it's because the weight of the market can still move the price down after the appearance of a doji. In addition, doji strengthens other signals. For example, doji plus harami will more likely produce a powerful reversal. Pinbars are a good indication that the market is tired and doesn't want to move in that direction anymore. The mere presence of a series of candles with long shadows reveals a changing sentiment. A hammer can have any color. The 'bullish' color, however, will make a buying signal a little bit stronger. Hanging man and harami patterns require confirmation. There are things which strengthen the signals of candlestick patterns. For example, a gap away from the previous candle's close sets up a stronger reversal move in case of doji and starts (evening, morning, shooting). candlesticks that form the pattern and if the candlesticks have big real bodies. 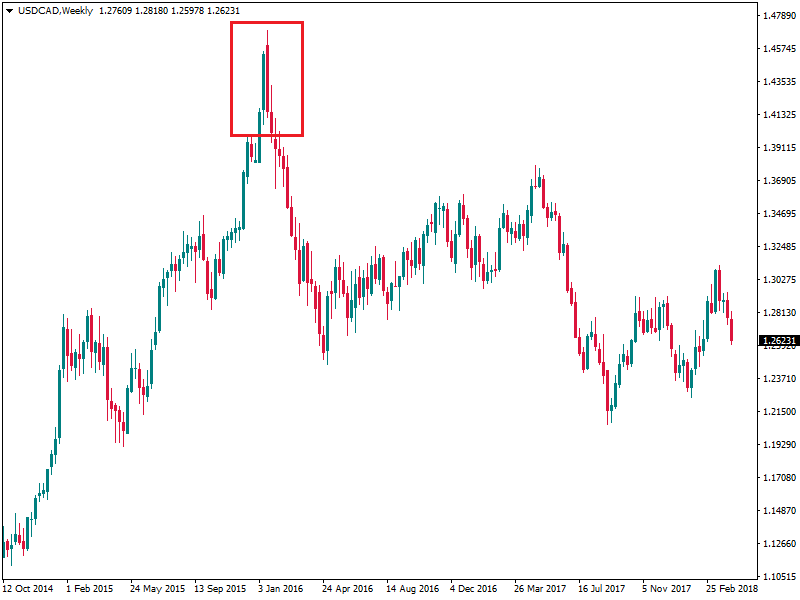 Look for candlestick patterns when oscillators (for example, Stochastics) are close to tops or bottoms. Moving Averages or the static support & resistance can also help to judge the validity of patterns. 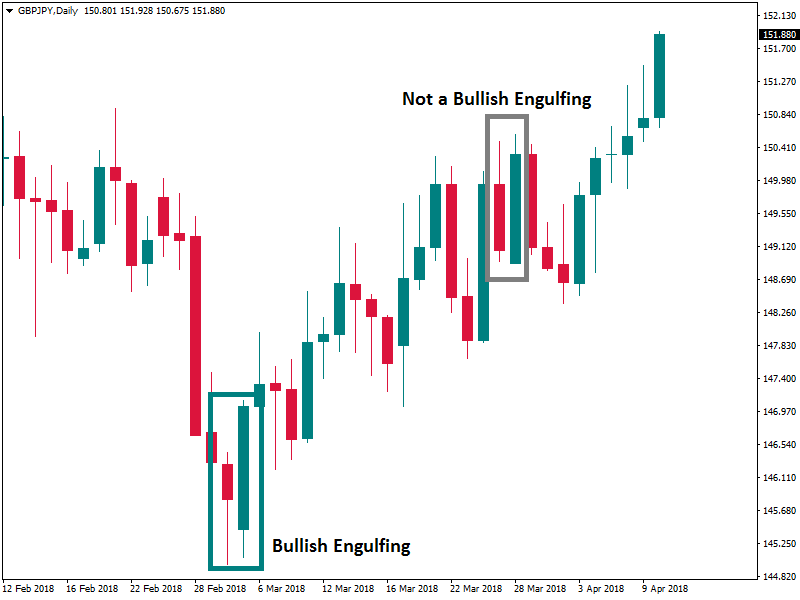 The easier you can spot a candlestick signal, the better signal it is as more traders will spot it and act accordingly. 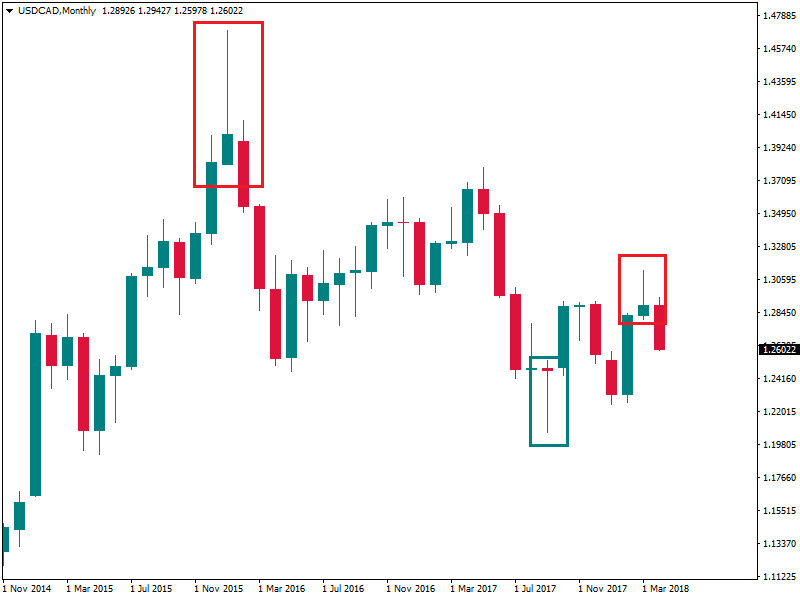 There are several custom indicators for MT4 which help to recognize candlestick patterns. None of them, however, is perfect. The main problem is that these indicators just highlight the patterns, but don't take into account whether they were formed after a distinct trend or not. As a result, we recommend using such indicators only to pick out potential patterns. After that, you will have to judge their validity using your knowledge. Finally, we would like to point out that it's better to know fewer patterns but to know them well. Start with doji, hanging man and hammer, shooting star, engulfing, harami, and inside bar. There's a phrase in Steve Nison's book: "Candles give themselves to give light to men" - let it be true for your trading experience!